Pultrusion is a process where fibers are combined with resin then pulled into a die where the resin undergoes polymerization. Polyester, polyurethane, and Vinylester are a few of the resin type used in this process. 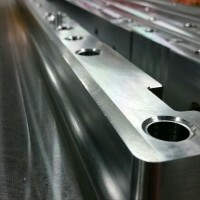 The benefit of pultrusion is that your finished product is more durable. The injection box is where your fibers are saturated with the resin and pulled into your die. Our injection boxes are precision machined for longevity and long runs. Heat from the die hardens the resin-saturated fibers, and molds it into the shape of the die’s cavity. 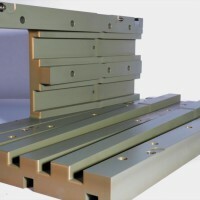 We use various materials to make our dies tough, durable, and distribute heat properly.